The first in an ongoing series of community engaged art installations to raise awareness of the value of artists, their community contributions and need to find and use space. • how local artists transform communities with their contributions. Visiting members of the public were invited to take away a fragment in exchange for their written solutions to current artist issues, ranging from engagement, to support, to finding space. Amongst the contributions of art fragments and hand-written solutions, images of vacant commercial spaces from surrounding local areas, were interspersed. • Combine art and sport to progress learning and break barriers. Further networking is required and suggestions sought, as to how to support artists in the implementation of community engaged projects. HOOS is following up on business contacts referred to. Other suggestions to engage younger people is being considered as are plans to tap into alternative spaces, as mentioned above. 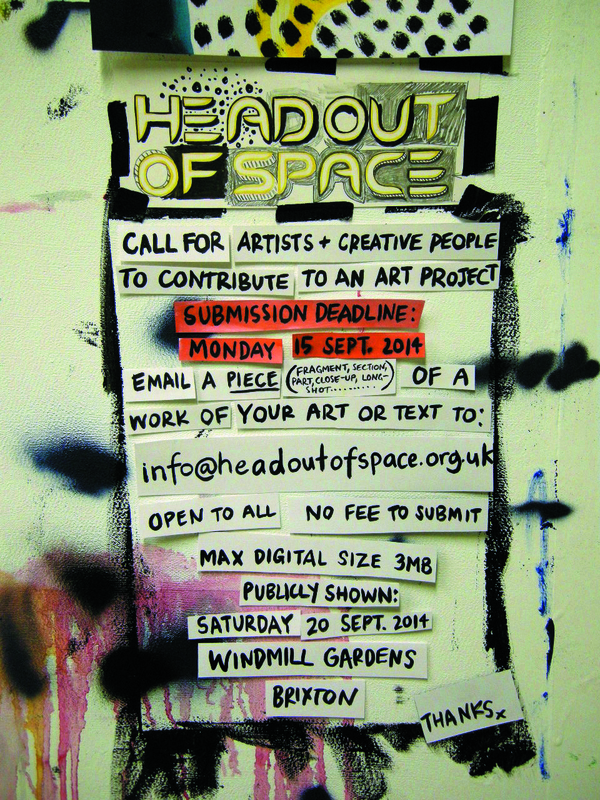 Head Out of Space (HOOS) thanks all of those who contributed fragments of their art work/text to the initial two installations. We exchanged great art for a range of ideas, which will be followed up. Findings will be published here in due course. Let’s continue to raise awareness of artists’ valuable contributions in communities and their need to find and use space to be creative.